Pretzels and Bullfights ~ Who Are You Reading? What is the single most important thing that you can do to improve your writing? It’s a question that many aspiring writers ask … and, in my experience, if you ask this question, then you are likely to receive one of two answers. The first answer is this: Write, write, write … and then write some more. The thinking is that if you write a lot, then inevitably the quality of your writing will improve. But is this necessarily true? I think the answer here is yes … and no. There is no question that if you don’t write then your work won’t get better. But I’m not convinced that increased quantity necessarily produces a rise in the quality of the work. The second answer is this: Read, read, read. The idea is that by reading widely you will in some way learn lessons about the writing craft which you can then apply to your own work. Again, we need to ask, is this necessarily true. And again the answer is yes … and no. At school I remember being fed a steady diet of Charles Dickens, Thomas Hardy, Jane Austen … and Chaucer and Shakespeare, of course. But we also read John Steinbeck, Harper Lee and Seamus Heaney, amongst others. Why was there an insistence on almost forcing us to read writers like these? Looking back, I can now see that the idea was that by reading quality writing, we would begin to learn what it is that makes some writing better than the rest. But in English Literature classes we were not only given quality books to read, we were taught how to read them. We learned to ask questions about what we were reading, questions like: What emotion is the author trying to elicit in her/his reader? What techniques are they using to achieve this? How convincing/successful are the similes and metaphors that the writer is using? In short, we were being taught the basics of critical reading. It seems to me that the answer to the question what is the single most important thing that you can do to improve your writing is a combination of both writing more and reading both well and critically. I’m hoping to come back to the question of critical reading in the future, but today I’d like to think about reading well, that is reading quality writers. Almost all of us are aware of the classical poets; Shakespeare, Byron, Shelley, Keats, Robert Burns, Walt Whitman, Ezra Pound, T.S. Eliot, Emily Dickinson, Rumi, Basho … the list goes on. But what about poets who are active today? And as soon as we ask that, we run into difficulties. The biggest problem is this; there are probably more poets active and being published in the world today than ever before. So how can anyone hope to keep up? I can’t keep up with all that is going on in Scottish poetry, let alone in the whole UK poetry scene, so I have no chance at all of keeping abreast of developments in world poetry. This is where a community like dVerse can help. I have no clue about who is writing quality poetry in New Zealand, Australia, India or South Africa today. I don’t know who is writing quality poetry in Swedish, Spanish, German, French, Hindi, Urdu or other languages, nor whether any of this work might be available in translation … but perhaps you do. Helen Mort was born in Sheffield and has lived most of her life in Derbyshire, England. She is a five time winner of the Foyle Young Poet of the Year Award, and her first published, full length collection, Division Street, was shortlisted for both the T.S Eliot Prize and the Costa Book Award in 2013, and won the Fenton Aldeburgh Prize in 2014. In 2010 she was Poet in Residence at the Wordsworth Trust, Grasmere, England … the youngest poet ever to have received this honour. Her poetry is full of character … and characters. There is humour and self-aware honesty, a strong sense of place and the importance of community. There are sharp observations about relationships, politics and society, striking images combined with a lightness of touch that enables her to approach difficult, even controversial, subjects as in her poem Thinspiration Shots. Overall there is a richness in her work that keeps me coming back to it again and again … and each time I read one of her poems I find something new in it. You shut the door, drove me to the all-night shops. I was three weeks late. The air was damp and hot. who didn’t look at me, just what I bought. You pointed out each lit window in town. Take notes, you said, one day you’ll write this down. play deaf unless a poem answers me. already squinting for the telltale line. As you might have gathered, Helen Mort is one of my current favourite contemporary poets. Who are your current favourites, maybe from your part of the world? Are there poets from your country whose work could inspire the other members of the dVerse community? And would you be prepared to write a short article about them? This is Tony Maude signing off for now … with an apology for being late to the Pub tonight; I have to attend a choir practice this evening. Wonderful poem by Helen.. to me it speaks like an advice of what the poetry should be. That keen eye to find the pieces of a jig-saw puzzle we put together as poetry.. Just wish I could follow it a lot better.. I must say that I have very few poets I have been reading lately from my part of the world.. maybe because I’m so new, I have formed my poem so much on what’s available online.. Sweden is not permeated by poetry that I really like and admire (but it probably influence me).. I am probably influenced by the ideas of Karin Boye’s poetry, but she is hardly contemporary.. I think there is a reason why I’m drawn more to poetry in English. Karin Boye is not someone I’ve heard of; anyone else know who she is or any of her writing? She was a poet that was on her way toward an international career with a dystopian novel when she committed suicide.. Her poetry is known by almost any Swede, but hardly at all outside. She is one of my favorite poets. When I began writing poetry, only about three years ago, I decided that I would develop my writing seat-of-the-pants, out of concern that I would lose my “uniqueness” if I were to subject myself to outside influences before I had some experience on my own. I’m now starting to read poetry. Neruda and ee cummings are my current favorites. I’m working on Ginsburg and Langston Hughes, books that were gifts from one who admired my early efforts. Not contemporary, I know, but that’s where I am. Right now I’m reading The Best Of Robert Benchley. 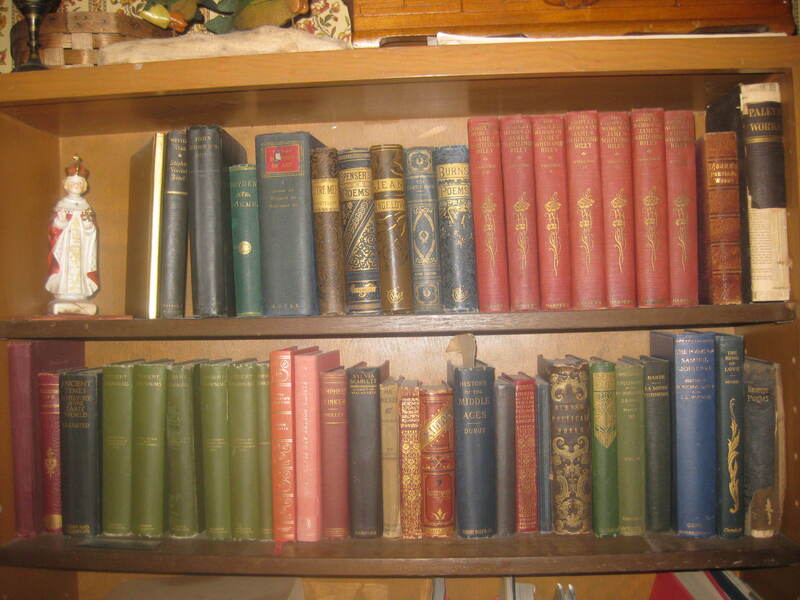 Essays written in the 1920’s and 30’s. Eloquent and funny; unfortunately much is relevant today. cummings and Hughes are polar opposites – have you adopted anything from them Dirk ? Not consciously. I’m still experimenting with style and form, and I glean that kind of information, but I don’t try to emulate their work. I recognise the risk in reading widely when you are still trying to establish your own voice, but I think the risk is definitely worth taking. Lots of workshops actually encourage poets to try writing in the style of another poet. It can be a really useful exercise, which can help you to see where the similarities and differences are between your own writing voice and the other poet’s. Yes, I think I’m ready for that. I have tried that .. both in style, but also in ideas and concepts.. and yes it enriches my reading. I think that one of the most important things we get from reading is new words, which equals new ideas and thoughts. I too find that sometimes our poem can have a stronger feel if we change the order of certain words from they how they are most used conversationally. I mentioned the Robert Benchley book I’m reading- the essays were written almost 100 years ago, and they’re a treasure trove of words and language. New words, new ideas … and sometimes the challenge of thinking, “How would I say that?” I get all this and more from reading other poets, both in print and online. Thanks Tony – I’ve learned much from your posts here. i think reading other poets helps to get ideas and a sense for different styles… one of my contemporary favs is bob hicok.. i have also signed up for poem a day by poets.org where you get an email with a poem by different poets each day… and that is really very cool as well.. I have that too.. but I read it too little.. 🙂 But every time I have read something it seems like I have caught up some little idea. I find that reading books and spending time on the web are very different things – I need to spend more time with books. poem a day is an excellent resource! I signed up for them back in the summer. I get a poem in my e-mail every week day from TS Poetry. As Bill has said though, reading online is quite different to reading a book (and e-readers/Kindles etc aren’t currently poetry friendly in my experience). Online we tend to skim, with a book we tend to slow down and really savour the words … or at least I do … smiles. I need to read more. Absolutely, positively. I enjoyed Helen’s raw and real writing. I am looking for this kind of inspiration…that inspires me BUT, have not yet found it yet… I appreciate your post as I have been asking myself the same question and feeling a bit malnourished. I’m looking for a new love, a new love (pitiful, I am thinking in pop music forms). I find that if I’m listening to music while I write, the rhythm of the song works into my work. I’ve written some good stuff that way. Lately I’ve been a bit slacking on the reading; having a bit of writer’s block currently so it shows… smiles. I will step up and I absolutely loved the questions… saving those for reading time to help me gain a better understanding. Actually reading is sometimes a great way to conquer the writer’s block.. How are you tonight Anthony… ? doing well, Bjorn! Had a much needed night out with my best friend, so I’m re-energize for serving here at the pub… how about you? oh I’m sure it is… great to see the snow finally start melting. Oh, we are having melting too! Snow be gone. I’ve not been writing as much or as often as I would like recently either, but I have tried to keep reading. You never know when an image or a line will kick-start the flow of your own words. I am more into reading fiction / non-fiction than poetry right now. But if I had to mention poets, I also have been looking at bit of Mary Oliver, who is well known to everyone….but also Gregory Orr whose poetry and style I like & have mentioned here at one point a while back. I would classify his poetry as serious, meaningful and concise. And, often if I am uninspired, I will pick up one of my various poetry books, page through it, looking for ideas. Sometimes even the mere act of reading (or even scanning) poetry gives me an idea. Or even the title of a book. On my bedside table are always a stack of books in various stages of being read and re-read. today that stack consists, in no particular order of: Barbara Hambly, L. Ferlinghetti, Thoreau, Stephen King, Gary Snyder, A. Ginsberg, Emerson, W. Whitman, Ray Young Bear,. there are a few more but these are the top layers. Sorry, my brain sputtered….too not two. I have two poems fighting for being written in my head and I think #2 is going to win out first. a dinner party with conversation inspired by those books might lead to an interesting poem as well. Wouldn’t that be a fun prompt? An obvious addendum: every one who posts a link on dVerse! Hi folks. Just home from choir practice; we’re going to be singing in the Usher Hall in Edinburgh – a 2,000 seat venue, so we need to be good! Thank you Grace … and happy hunting. OK folks – it’s getting late on the east side of the Atlantic. I’ll be back in tomorrow morning, when most of our American friends (north, central and south) will be sleeping. The last two books I read were by Mary Oliver, ‘Our World’ and ‘Thirst”. I also really like Gregory Orr. I read in both English and in French, no other languages sadly. Reading prose at the moment: Unbroken by Laura Hillenbrand but also subscribe to a poem a day from Tweetspeak. I’ve read and appreciate contemporary poets Luci Shaw, Tanya Runyan and Nicholas Samaras as well, though not reading them currently. Wish I could hear your choir, Tony! The more I write the more blurred I find the border between prose and poetry.. Love the list of poets.. I tend to believe the best thing you can do for your writing is invite and accept criticism. Even though it may hurt and/or make you mad, it may also push you to improve. Very good question and some great answers – I’m always looking for recommendations. I tend to read a lot of poetry online, but not perhaps so much of the collected works or poetry volumes of a particular poet. I try to read at least one book of poetry a month, though. I find it refreshes me tremendously. One book I read just a few days ago was ‘Liar, Jones’ by Maggie Hannan. It was published back in 1995 and was hugely influential on English poetry since that day – I believe it’s been a contributing factor to the rise of performance poetry and the like. I can’t say I understood more than half of it, nor was it necessarily the kind of poetry I prefer reading, but it was challenging, experimental, stretching me… so that’s all good. It opens up possibilities. I wonder if I could read a complete collection.. I have more of anthologies at home.. and every now and then I open them up.. sometimes it sparks some inspiration. I had a habit when I first started writing, of keeping a notebook handy beside what I was reading, to jot down reactions, interesting word combinations, floating ideas. Somehow the habit seems to have faded out. It should definitely be revived. Modern French poetry and me do not mix well. I have a very soft spot for Jacques Prevert. Critical reading is hard: I get lost in a novel, and don’t notice anything (except grammatical errors or inconsistencies of plotting). I read poetry in small doses – I am easily overloaded with imagery. My poetry tastes are eclectic, from Shakespeare sonnets on my Kindle to Wendy Cope. Probably my favourite almost contemporary (she died 3 or 4 years ago) poet is UA Fanthorpe. I am also reading David Crystal’s “The Story of English in 100 Words”. His writing is a delight, as always – an academic who knows how to draw us in to the world of language. Sorry this is such a hodge podge! Love additions of poets I have not heard of… wonderful.. and keeping a notebook beside you (or my case maybe my phone) is a great habit.. I used to hunt for word, and actually mark selection on my nook that I sometimes return to.. I have started a subscription of a poetry journal and my first issue came in the mail the other day.. I think I will be able to pick up some favorites… This first issue was specialized in Turkish poetry, and there were definitely something special about that. One thing I find especially intriguing as an alternative to reading (or as a complement) is listening to poetry.. there are some excellent examples on youtube or spotify, I recall when I put on HOWL and listening to the poem over and over on a transatlantic flight.. then I just typed out my poem.. moving my tensions from the listening directly to the paper. There are definitely a slightly other category of poets that would be my favorites if I include the poetry scene..
I’m reading George Szirtes and Antony Wilson…for a daily dose of thoughts and poetry. The wonderful thing about human beings is diversity. The wonderful thing about poetry is diversity. We are all different. I am more of a classicist and to me Helen Mort’s poem is not poetry. It is a random thought written down in prose form and not even cleverly done. If I am reading poetry then I am reading the greats of the past. I think there is a great deal of poetry today and poetic experimentation which is not really poetry and that is all to the good for anything which has people playing with, rejoicing in, dancing with and working with words is wonderful. But there is not a lot of great poetry coming out of it because it is just too experimental. I don’t think poems should read like a brief telephone conversation; random thoughts on a past event or future, nor do they need to wind all over the page – the words should speak and they should speak like songs where if they do not rhyme at least they have rhythm. When you think of Shakespeare, Hopkins, Browning, Keats, Shelley and all like names then you are thinking poets. So beyond sites like this, and I participate in a few, I do not read modern poetry much at all, but return to the past when we did it better. My reading is more of an exploration of the human soul and psyche: spirituality, psychology, physics, symbolism, myth, history, science…..
And neither am I saying that anything I produce is better than the average….just that I can still recognise, I believe, the quality poetry which was more common in times past than now. Currently on my bedside table which I’m enjoying ennormously: Why I Wake Early by Mary Oliver, The Seven Ages by American poet, Louise Gluck. I love Gluck’s work and my favorite is The Wild Iris where she speaks in the language of flowers. I especially like the perspective of women poets and Irish poet, Eavan Boland, is another frequent read of mine with her The Lost Land the latest book to leave my bedside. All three are contemporary poets. Yes, I’m reading but time, reading my lesson notes and text books because I’m preparing for my mid-semester exams. Thanks for the quick reminder. 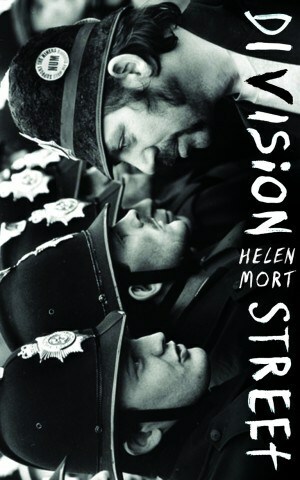 Yet to read Helen Mort’s arts. Great post, love it. Peggy Pond Church a favorite! Just discovered this bar and am loving it. May I add my opinion to the current discussion? – not a single thing but a mix of reading, writing, and experiencing.